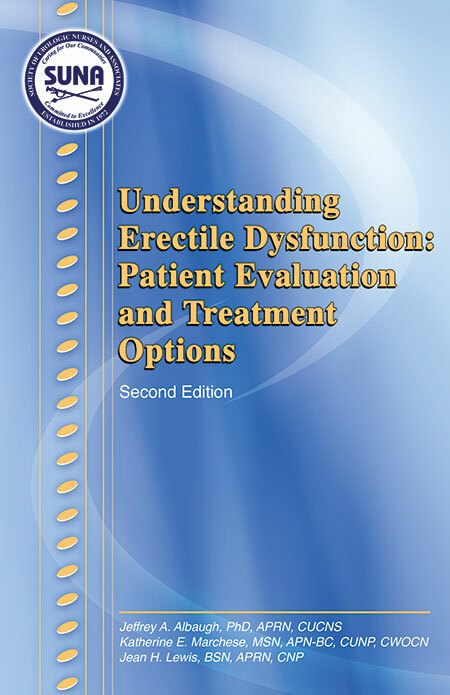 This monograph presents a comprehensive overview of erectile dysfunction. You will find the authors' approach interesting, informative, and research-based. The latest information is addressed, including the continuum of treatment options for erectile dysfunction. Authors Jeffrey A. Albaugh, PhD, APRN, CUCNS, Katherine E. Marchese, MSN, APN-BC, CUNP, CWOCN and Jean H. Lewis, BSN, APRN, CNP, are known nurse experts in the field of erectile dysfunction. New and revised sections include: Testosterone, Problem Assessment and Evaluation, Hormonal Therapy, Drug Interaction and Product Information.